Will my pet get sick from eating raw meat? The hydrochloric acid in a carnivore’s stomach is a protective enzyme against pathogens. Their stomach is highly acidic (about a pH 1) while their digestive system is short and lacks complexity. Bacteria is killed when ingested and passed within 4-6 hours as waste. Since the time to complete digestion is very short, the bacteria does not stay in the body for long. Learn more about the myths and benefits about raw feeding here. Will my family or I get sick from feeding my pet raw meat? Raw feeding is no different than cooking for yourself and family within your own home. Standard sanitary habits should be practiced when handling raw meat such as cleaning your area throughly after prepping, washing hands after touching raw meat, sanitizing utensils once they have been used on raw meat, etc. Are bones dangerous because they splinter? Learn more on how to safely feed raw edible bones here. 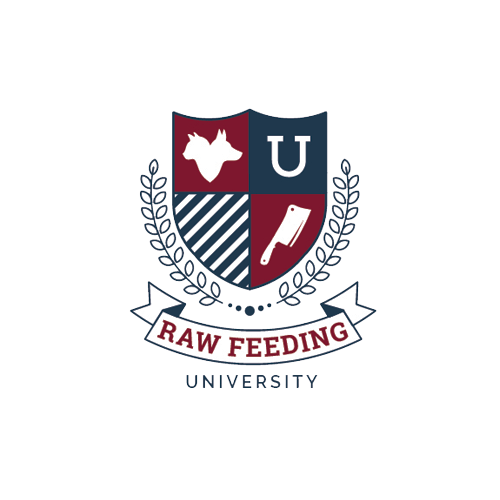 How much does raw feeding cost? Calculating out how many pounds will be needed for a whole month will allow you to figure out a rough estimate on monthly costs. In order to do this, daily feeding ratios will need to be determined for muscle meat, bone, and organ; and multiplied by thirty (30 days). On average you can expect to spend around $2.50/lb to feed a complete raw diet using local resources. Anything higher will allow you to feed more variety. Lower costs can be achieved however this will depend on your local resources. 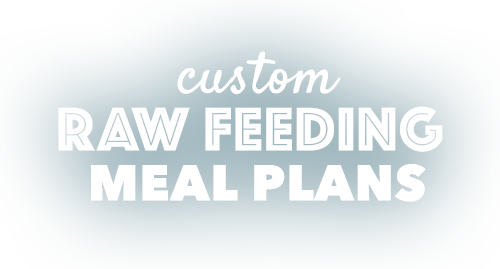 Learn more about do it yourself raw feeding meal planning here. 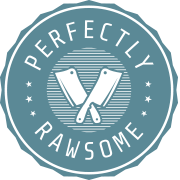 How long does raw meat last and what is the best way to store it? The average person keeps raw meat in their refrigerator up to 3 days. However, dogs and cats are able to tolerate meat that stayed out much longer. Once meat is fully thawed, it will last in the fridge about 7 days. If the meat smells a bit “off” it is ok to feed, however do not intentionally feed rotting meat. How do I begin feeding whole prey? The best way to start feeding whole prey is to start small so you do not overwhelm your pet. Day old chicks (DOCs), whole quail, and feeder mice are all great options to begin with. Coating the feathers and fur with bone broth and bloody juices is a way to encourage your pet to eat whole prey. Additionally, sometimes you will need to split open the stomach to expose the meat. Once your pet accepts small whole prey, you can work on introducing larger whole prey as it becomes accessible to you.